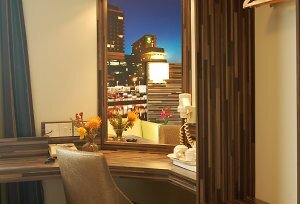 Room tariff is inclusive for 1 or 2 persons with Free, Full Breakfast, Wifi, and Parking. 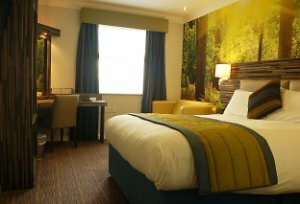 Our rooms are just £69.99 Sunday to Friday, Saturday £85.00 (excluding special events) and you get free WiFi throughout the building, free parking and free Full Breakfast. 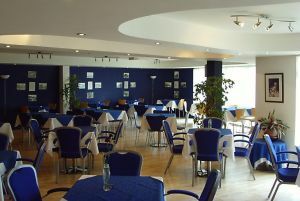 Our facilities include a restaurant and bar, and a lift. One room price. No hidden extras. 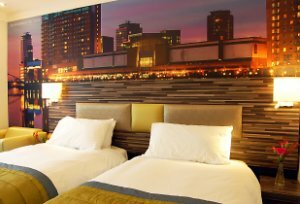 If you are looking for Manchester hotel accommodation for guests with a disability, we have a number of ground floor bedrooms for disabled guests. 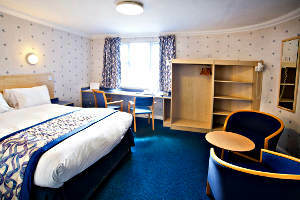 Family bedrooms are available by request at a supplementary cost of £12 per child, including breakfast (up to age 15 years). 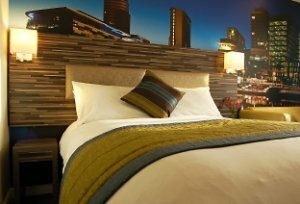 Please contact the hotel direct. The Brasserie - designed in contemporary, bistro style - offers menus and cuisine to a high standard, complemented by an extensive wine list and bar service until 12.30am (0030). 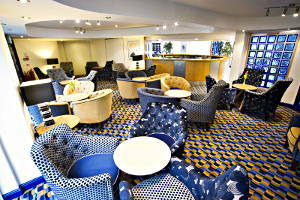 Relax in comfort in our residential lounge.